MEET on Bowery is atop a historic building in the Bowery neighborhood. The space includes a penthouse loft and a private roof garden. The penthouse loft showcases street art-inspired drip wall, various art installations, large windows, exposed brick walls, and stunning wooden ceiling beams. The roof garden provides comfortable bench seating and your guests can enjoy panoramic views of downtown Manhattan and Brooklyn. 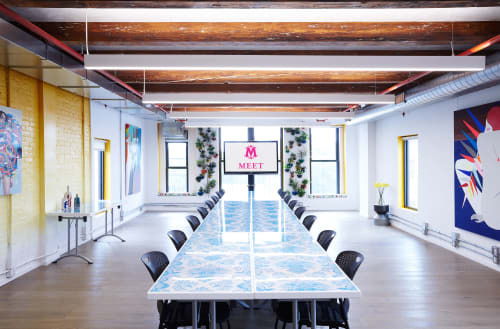 MEET on Bowery is ideal for your corporate events, receptions, work shop/classes, photo/video shoots, and much more.